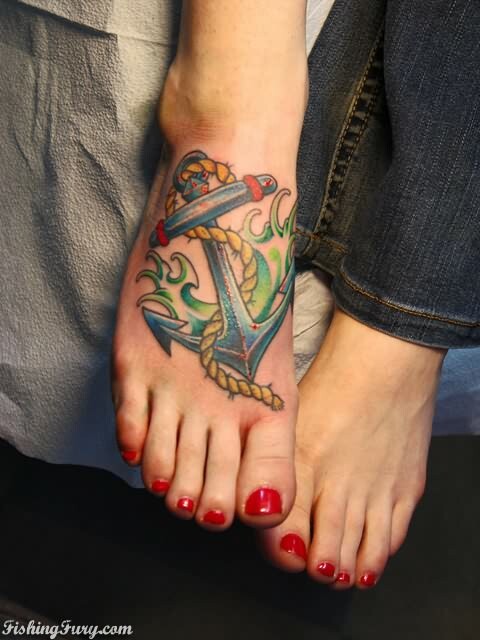 One of the most instantly recognizable, classic tattoos, the anchor tattoo has seen a lot of change as far as those who choose to rock this design on their body. At the time of its conception, it is widely believed that back in the days when the Greeks enjoyed one of the few advanced cultures, citizens that identified as Christians would sport the anchor as a clever way to disguise the cross symbol. Similar to the little hollow fish symbol seen on stickers, the back of cars, churches, etc., the anchor told other Christians that you were one of them. They even used them on the front of establishments to let others know that they meet there to practice in secret. Back then, if you were found to be a Christian, things could go bad for you really quickly; adhering to the religion could find you dealing with a whole host of crappy fates. Considering this story, the anchor is also a pretty cool reminder that some of the human race’s best and most functional inventions have come from the very distant past. In lighter news, the anchor was later revived by naval soldiers, sailors, and anyone else who led a life or career associated with the always changing, never boring body of water upon which they spent their time. 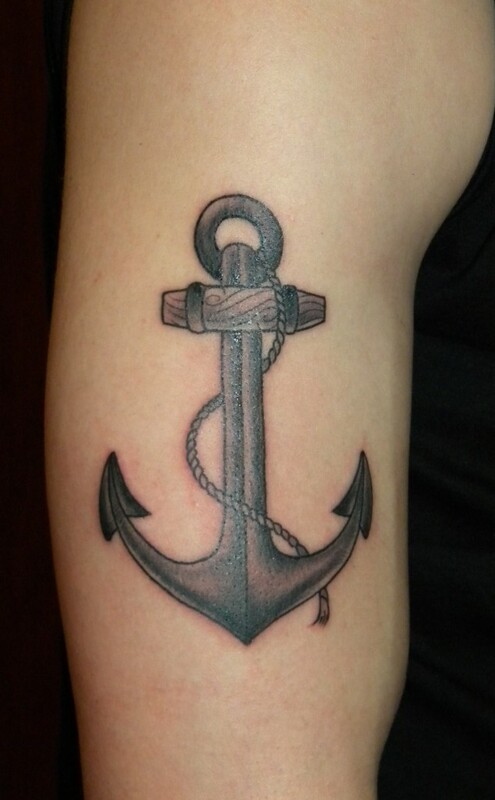 No big metaphor here, the association between the anchor and its wearer are pretty friggin obvious! Today, of course, the anchor is adopted by all types of people. Aside from its connection with water and those who love it, there’s a wide variety of metaphors that attract tattoo collectors from all walks of life. Mystery and the unknown, as it is said that we’ve only had the ability to explore just 5% of the oceans on Earth, which covers approximately 71% of the world. There are countless design aesthetics that include the anchor. Choosing red, blue and yellow are popular for this tattoo, as these are the classic colors found on some of the oldest wearers today, who are usually seamen. 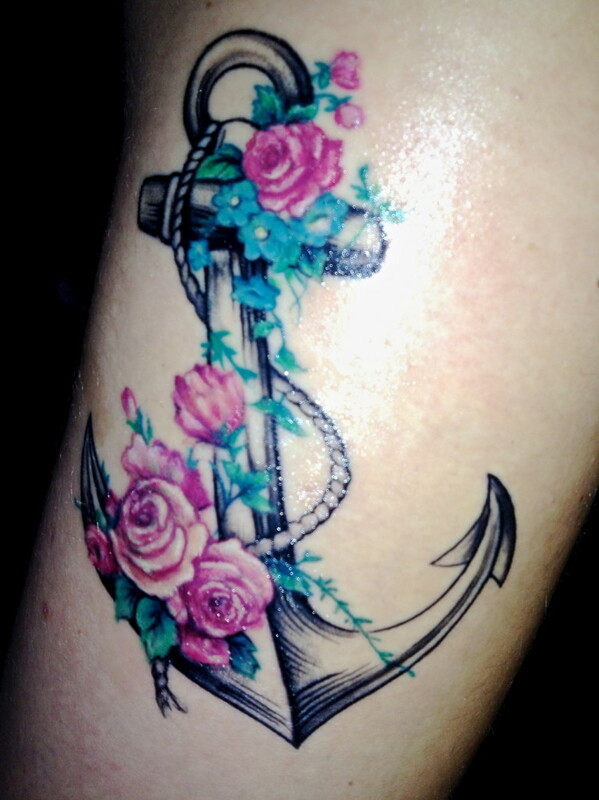 Recently, however, more women have opted for this design, many of which have opted to surround the image with flowers, script, quotes, and other maritime images such as mermaids, nautical stars, and lots of other designs that help in pulling the anchor into a more feminine landscape. No matter what your taste may be, the anchor can be co-opted into anything from a sleeve filled with a variety of imagery to a small, simple image on the back of the neck. As always, if you’re considering one, there are thousands of ideas everywhere on the internet – and it is always best to ask your artist to create a unique one based only on your particular style and interest! No one wants to show up somewhere and find someone wearing an identical tat!